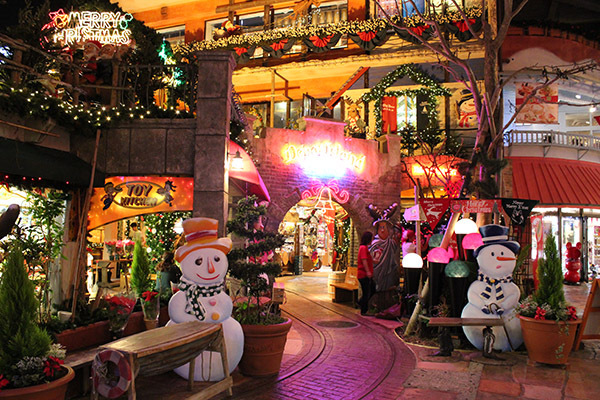 Mihama American Village and its environs, which feature a year-round display of twinkling lights, promise to brighten up your holiday season with even more beautiful illumination and Christmas decorations during the winter season. 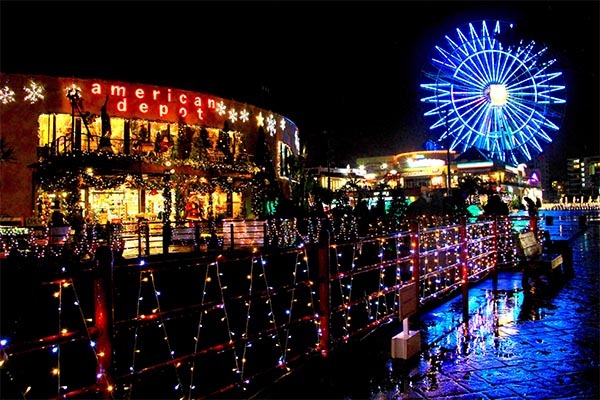 From Sunset Beach to the street on which the Mihama 7 Plex movie theater and Aeon Chatan are located, the area is adorned with sparkling lights and 21 beautifully decorated Christmas trees. The illumination runs from 5:00 p.m. to 12:00 a.m. every evening. 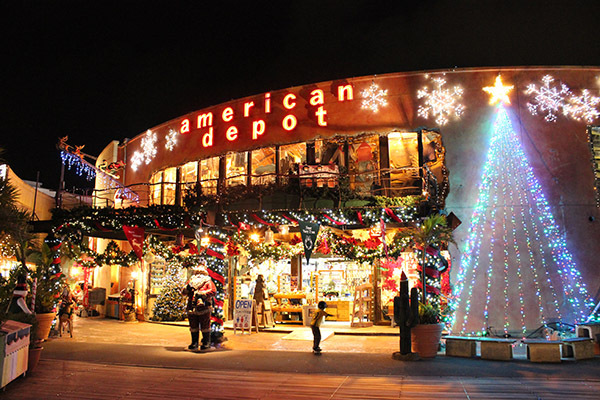 An area adjacent to the European-themed Depot Island is popular for photo shoots, with a number of Christmas displays allowing visitors to take pictures both day and night.